Carbon monoxide is an invisible, odorless and tasteless gas that can be deadly. If your home has a gas leak, you won't necessarily know it until physical symptoms start to manifest themselves. Being prepared for a carbon monoxide leak and knowing how to get yourself and your family to safety is critical in preventing an avoidable tragedy. The best way to prepare for a carbon monoxide leak is to install carbon monoxide detectors on every floor of your home. Sometimes, these detectors are combination devices and also include smoke-detecting technology. Educate your entire family as to how the detectors operate and what to expect if they are activated. Carbon monoxide leaks are often caused by furnaces, hot water heaters, and other heating equipment. These should be checked annually by a professional to ensure that they are up to code and functioning properly. In addition, chimneys, flues and fireplaces should be checked regularly. Chimneys and vents going through a roof should be checked for rodent and bird nests. 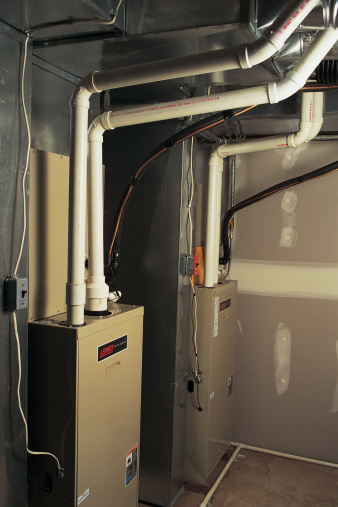 In the winter, make sure any vents from the basement going out the side of the home (such as a gas dryer or furnace) do not get clogged with snow. If you use a wood-burning fireplace or stove, have a certified chimney sweep or other home heating professional check your flue and clean your chimney before using it for the season. Buildup can cause fires or and a clogged flue can cause carbon monoxide buildup in the home to fatal levels. Vehicles are also producers of carbon monoxide. Never start your vehicle or let it run inside your garage or another enclosed space. Always open the door and let the car exhaust ventilate to the outdoors. 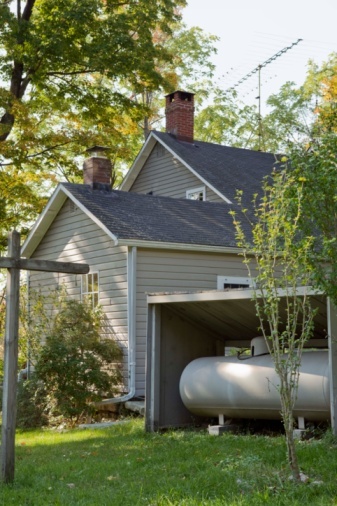 Don't run a gas-powered generator in a closed garage for the same reason. Do not use kerosene space heaters or gas grills indoors, as these may also cause a carbon monoxide leak. If you experience a power outage, use electric space heaters or generators wherever possible. In addition, never use gas ovens as heaters. Talk through a worst-case scenario plan with your family. You should all be familiar with the symptoms of carbon monoxide poisoning, including a dull headache, blurry vision, weakness, dizziness, nausea or vomiting, shortness of breath, confusion, unusual tiredness or loss of consciousness. It can be difficult to pick up on these symptoms if you are intoxicated or asleep. This underscores the importance of having working carbon monoxide detectors. Pets may also experience symptoms of carbon monoxide poisoning. Look for cough, vomiting, nausea, inability to walk properly, loss of stamina and flu-like symptoms. If you observe any of these in your pet, seek veterinary attention immediately. In the event of a leak, alert anyone inside and immediately vacate the vicinity. If you are able to rescue pets, do so as you leave. Do not return inside to rescue them. After you are outside and breathing fresh air, call for help. Call 911 first. Then, contact your utility or gas company. Even if you think you are feeling OK, you should be evaluated by a medical professional. In addition, first responders or your utility company should check your home to ensure that the leak has stopped. After emergency personnel give you the OK, open your doors and windows to ventilate your home. Don't do this beforehand, as having the windows closed can help first responders find the source of the leak.